This splendid piece of genuine Pyrite, also known as Fool's gold, has been transformed into a unique refrigerator magnet. It's perfect for holding your child's artwork or notes on the fridge and makes the perfect gift for the rock hound. Proudly made in the USA. Measures 1 1/4" H - 1" W - 1" D.
Pyrite is a first (base/root) chakra gemstone. 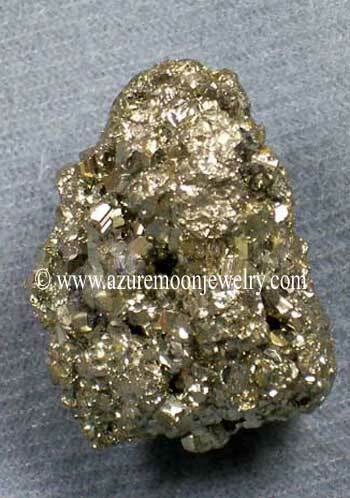 Metaphysical Properties: Pyrite is an excellent preventive, shielding one from many forms of negative energy. It�s a unique protector to keep in ones possession when performing dangerous work. It can be used to stimulate the intellect, enhance memory and help provide recall of relevant information when required. Click here to learn more about the lore and metaphysical properties of Pyrite and other popular gemstones.